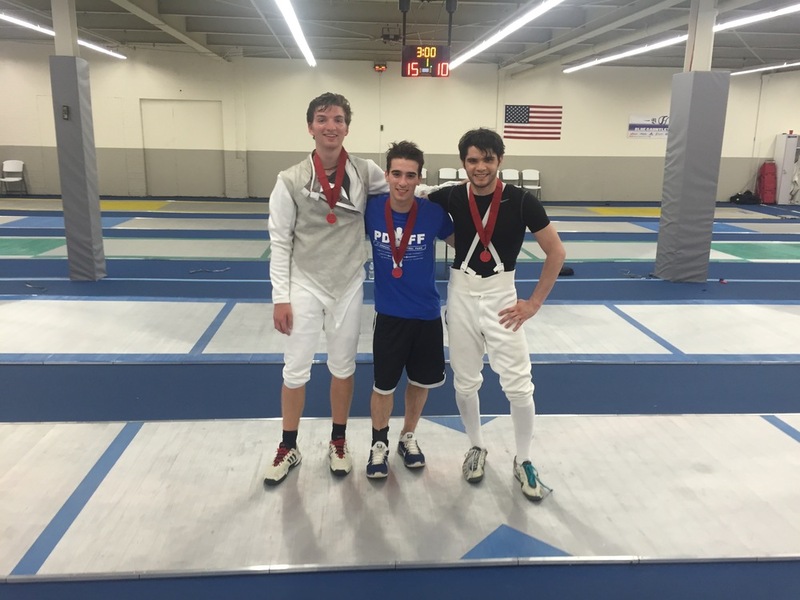 Durkan Fencing Academy started in Fall 2014 with the ultimate elite fencing experience in mind. It starts from the ground up. Our custom nine-layer sports floor is supportive and provides consistent shock absorption and speed of play. We have 18 grounded metal regulation fencing strips, the same that athletes use at National and International level tournaments– because you have to train like a real fencer. 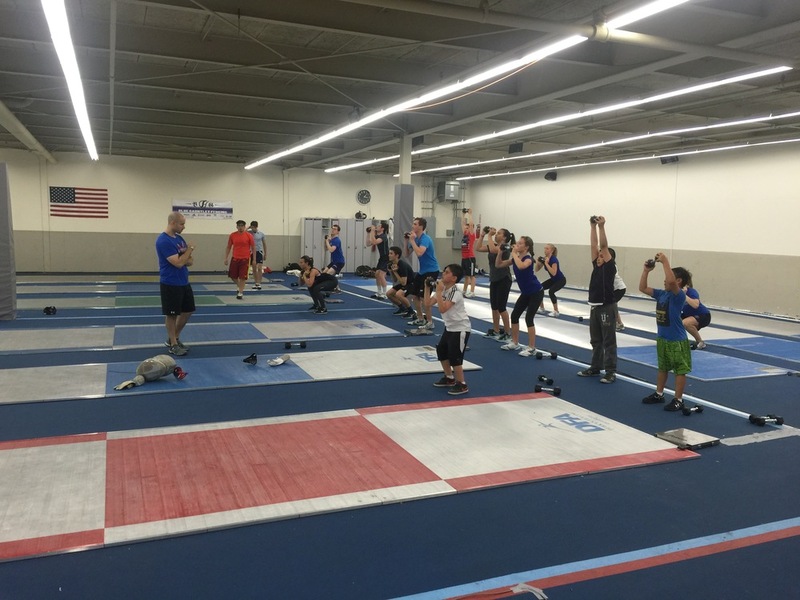 The neuromuscular development occurring at practice prepares our athletes for all levels of competition. Beyond our equipment, our coaching team has designed a premier training program that develops consistent improvement for athletes of all levels. Patrick Durkan has over 20 years of coaching experience and has worked with beginner through elite athletes of all ages. As a competitive fencer, he is experienced in training plans designed for busy travel and tournament schedules. His teaching method is based on neuromuscular development and proper technique before tactics. This develops better athletes with FEWER injuries. The Durkan program was developed with exercise physiologists, registered dietitians and personal trainers based on scientifically proven research. The American Academy of Pediatrics (AAP) released a report in May 2014 recommending strength training to prevent sports injury. "'Neuromuscular training programs strengthen lower extremity muscles, improve core stability, and teach athletes how to avoid unsafe knee positions,' said Cynthia LaBella, MD, FAAP, lead author of the report and a member of the AAP Council on Sports Medicine and Fitness." Durkan Fencing Academy wants to give each member a program suited to his or her age, training level and personal fencing goals. We offer training packages designed to give each fencer an edge. Coach Durkan believes that when you commit to a training program you will see consistent, powerful results! Can you imagine a club environment designed for the athletes and their families? We support our fencing families! Our welcoming lounge provides a relaxing atmosphere where parents can take a break, socialize or just enjoy a cup of coffee. Student athletes can use our study area and class room with free wifi to complete homework before training sessions. Durkan Fencing Academy provides an elite experience to all of our members and their families. You will be comfortable in our fully air conditioned/heated space. Our professional public address and sound system provide a fun training atmosphere. We also offer discounted membership rates for the powerhouse gym in our building where members and work out or shower. Parents can also check out exercises classes offered at our partner gym. Please contact us or stop by the club during business hours if you need assistance choosing the right program for you.